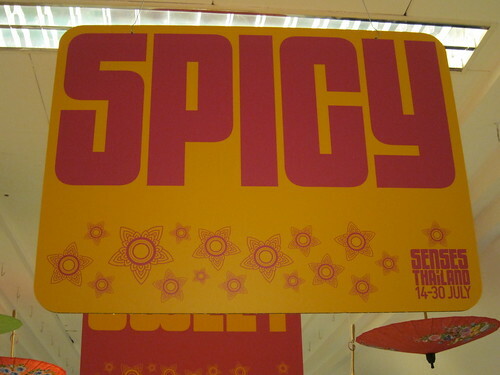 Yep, the sign above essentially says it all, Thai food is spicy and one of the reasons why I love it. Herby, zesty and hot. 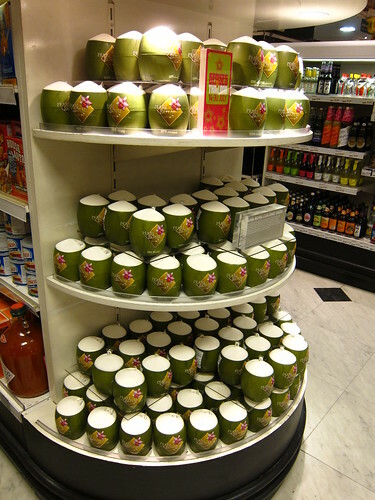 Until the end of July, you can find a Thai invasion in the Selfridges food hall containing an array of little stalls hosted by some of London's favourite Thai restaurants, and a heap of produce, much of which has never made it over to the UK before. 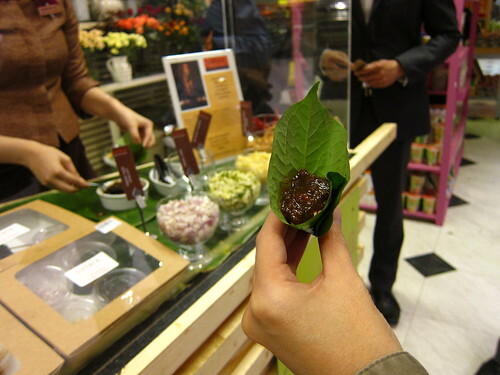 Having been asked along to it's first day, we walked around the stalls getting samplers including durian ice cream (well worth a try, quite mild for all you non believers), som tam (spicy green papaya salad) and mieng kham (sweet, savoury and crunchy stuff wrapped in betel leaves). 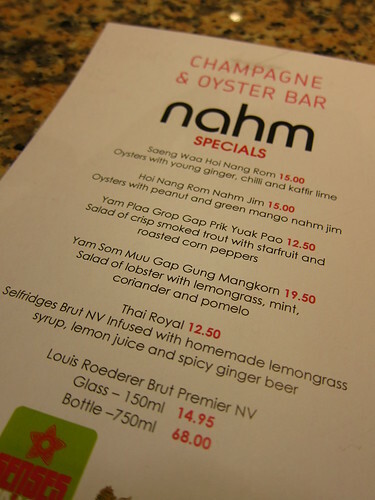 The highlight for me was definitely the Nahm oyster bar. 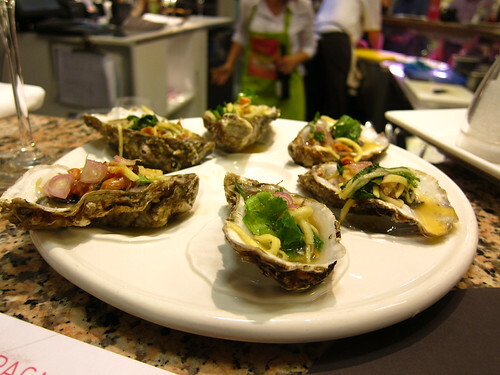 Hoi Nang Rom Nahm Jim (or oysters with peanut and green mango nahm jim) was a real taste and texture sensation. Who knew that peanut brittle and oysters went together? 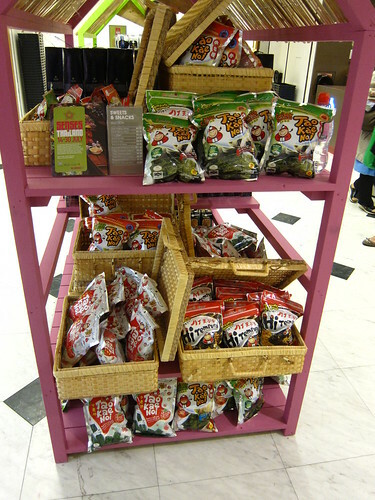 Senses of Thailand is not open for a long time, but I would highly recommend that you go and check it out if you like Thai food and Thai produce. And don't be shy, try that durian ice cream! There are a few pics below, but there is a whole lot more when you get there. @ London Chow - The oyster was a real mixture of flavours and texture. Sweet, tangy, spicy and slightly crunchy too. And the coconuts are plastic so no fear of injury.